The secret to longevity may lie in the microbiome and the gut, according to researchers from McGill University, Canada. It is already known that the bacteria living in our intestinal tract could have an influence on how well we age. Building on this knowledge, McGill University scientists fed fruit flies with a combination of probiotics and a herbal supplement called Triphala. These experiments were able to prolong the insects' longevity by 65% and protect them against chronic diseases associated with aging. The study, published in Scientific Reports, adds to a growing body of evidence of the influence that gut bacteria can have on health. The researchers incorporated a symbiotic – made of probiotics with a polyphenol-rich supplement – into the diet of fruit flies. The flies fed with the symbiotic lived up to 66 days old – 26 days more than the ones without the supplement. They also showed reduced traits of aging, such as mounting insulin resistance, inflammation and oxidative stress. This lifespan extension is significantly longer than most of the previous studies on fruit flies, which have been in the ballpark of 20-30%. "Probiotics dramatically change the architecture of the gut microbiota – not only in its composition, but also in respect to how the foods that we eat are metabolised," says Satya Prakash, professor of biomedical engineering in McGill's Faculty of Medicine and senior author of the study. "This allows a single probiotic formulation to simultaneously act on several biochemical signalling pathways to elicit broad beneficial physiological effects, and explains why the single formulation we present in this paper has such a dramatic effect on so many different markers." 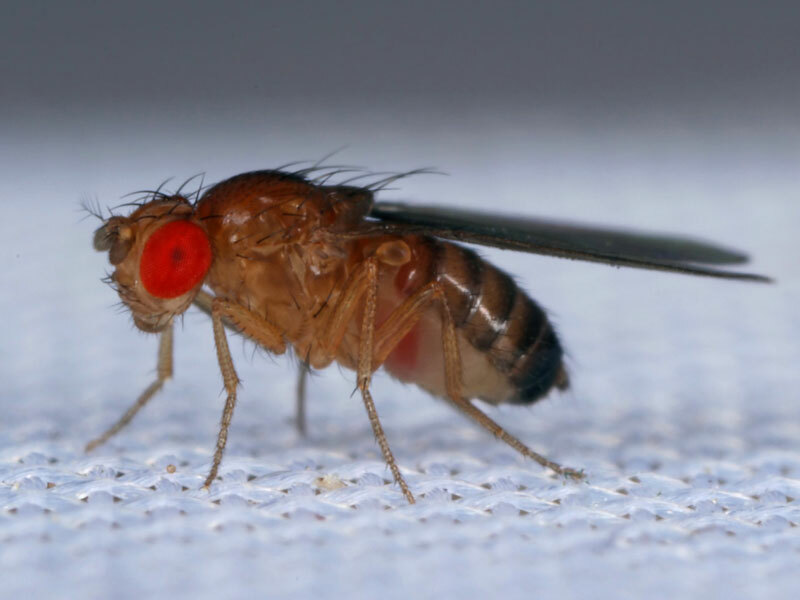 The fruit fly is remarkably similar to mammals, with about 70% similarity in terms of their biochemical pathways, making it a good indicator of what would happen in humans, adds Prakash. "The effects in humans would likely not be as dramatic, but our results definitely suggest that a diet specifically incorporating Triphala along with these probiotics will promote a long and healthy life." The authors also say that the findings can be explained by the "gut-brain axis," a bidirectional communication system between microorganisms residing in the gastrointestinal tract – the microbiota – and the brain. In the past few years, studies have shown the gut-brain axis to be involved in neuropathological changes and a variety of conditions such as irritable bowel syndrome, neurodegeneration and even depression. Few studies, however, have successfully designed gut microbiota-modulating therapeutics having effects as potent or broad as the formulation presented in this new study.